Okay, so why a blog? Why now, and what are we hoping to achieve? In May 2014, the Australian Government handed down their budget, which contained drastic cuts to science and research funding. In particular, they ordered an $111 million cut to CSIRO funding over four years, only a year after the organisation had already shed 500 employees (a lot of admin and public outreach people as well as researchers). In order to start dealing with these losses, a number of laboratories and infrastructure have closed or been scheduled to close, including Australia’s only lab for studying live samples of deadly diseases (like Ebola) and the Mopra telescope. 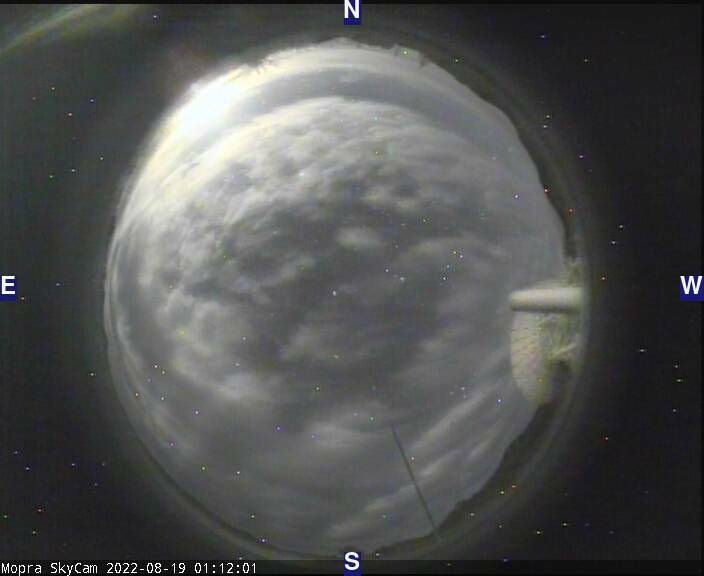 Fortunately for us, the University of New South Wales (my employer) and the University of Adelaide, alongside the National Astronomical Observatory of Japan, have been buying Mopra time from the CSIRO for the last three years, covering the running fees of the telescope for the entire community in return for 10 weeks a year of observing time (for the Australian consortium, 12 for the Japanese). Breaking those contracts would have been costly, and so Mopra lives! Until the end of this observing season – October/November 2015, when the atmospheric conditions become too poor for millimetre observations. That’s when they plan on turning off the lights and leaving Mopra to rust in a field, her science unfinished and her potential wasted. There is a lot of observations that we ought to carry out that just won’t happen in time. The Mopra CO survey will not be completed by the end of this year, and this science is so important, not just now, but in the future. ALMA and the CTA, ASKAP and SKA all need good millimetre surveys at better resolution than those currently available to serve as pathfinders for identifying sources of interest. Not to mention all the great science we’ll be able to do with the survey on its own, studying the structure of the Milky Way and the formation of molecular clouds. Mopra is the only telescope capable of mapping these much-needed maps of the Southern sky. Nothing else has the resolution at these wavelengths to be the workhorse astronomers need. Not to mention that it is key to Australian VLBI infrastructure (you need the Parkes-Mopra and Mopra-ATCA links to make an Australia-sized telescope work). Shutting down Mopra would be a crime against science. Australian investment in scientific research is at an all time low. And while last year’s budget has been horrific, it is part of a long-term trend that has lead to many of Australia’s greatest minds leaving, turning elsewhere to fulfil their dreams. Australian science is in trouble. There aren’t enough jobs (yes, there never have been enough jobs, but it’s worse now). Government doesn’t see the value in work that doesn’t immediately lead to patents (and those should be funded by businesses investing in their own R&D labs), and doesn’t appreciate that undirected pure science can sometimes lead to surreptitious and surprising outcomes (which in turn can be quite profitable to the organisation in question). This blog is an effort to document the effects of these funding decisions, to be a platform to promote science (particularly that conducted with the Mopra telescope, since it’s what we know best) and to encourage public participation in the performance of science (more on that later). If I can help even one reader to increase their understanding of what science is, how it works and why it’s important, then all this effort will be worth it. Posted in Mopra CO, Science Funding, Science!